The last time I was in Tofino, my mom and I stopped in at Sobo on a rainy night for a toasty dinner and red wine. I ordered their Pizza Margherita, assuming I’d take home at least half the pizza leftover for the next day’s lunch. I ate all eight slices. 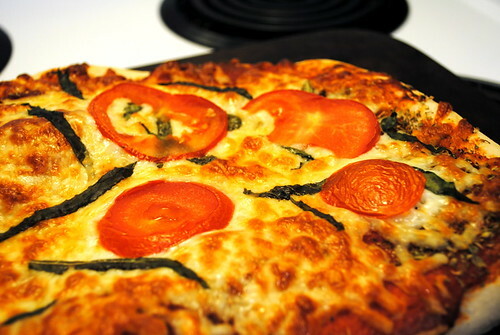 I’m not sure if I was simply famished or if their Pizza Margherita was just that good, but either way, I made it my mission to duplicate the pizza in my own kitchen. 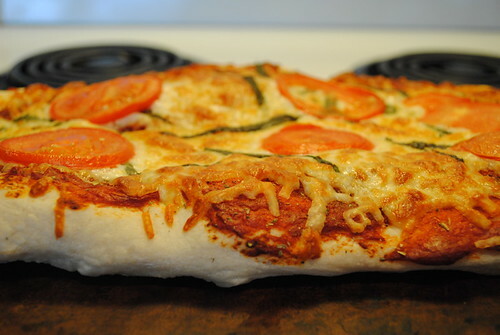 While it’s unlikely that my version is half as good as Sobo’s creation, I like to think that I can serve up some slices of deliciousness all on my own. 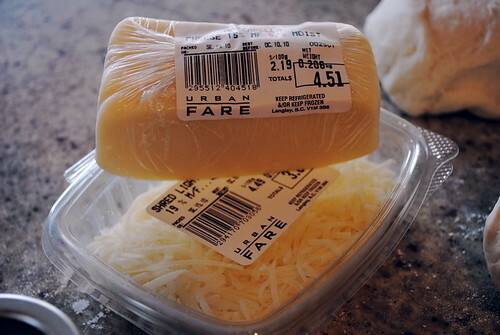 I’m a big fan of using proper ingredients and encourage you to avoid cutting corners. Doing things the right way will hopefully ensure the most explosive grand finale for your taste buds. For example, table salt might suffice, but sea salt contains a higher mineral content, meaning it will be more flavourful. 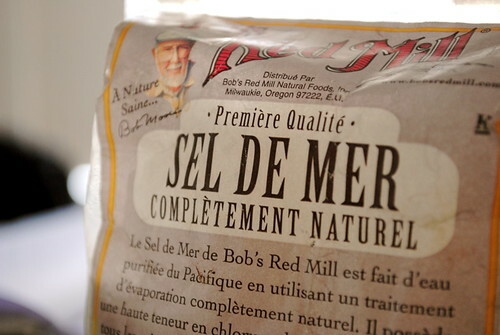 I like to get fancy and kick things up a notch by instead using sel de mer. 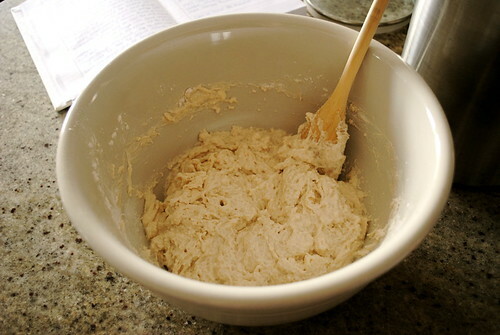 Start by dissolving the yeast in the warm water for five minutes; stir in the salt and three cups of flour. 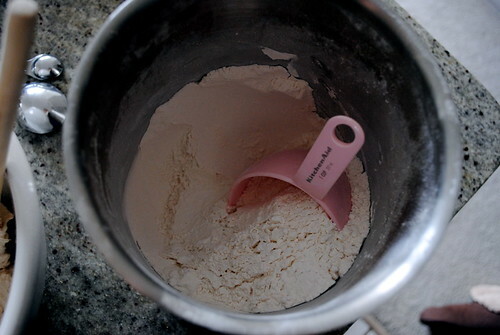 Once blended, add the remaining flour until the dough pulls away from the edges of the bowl. 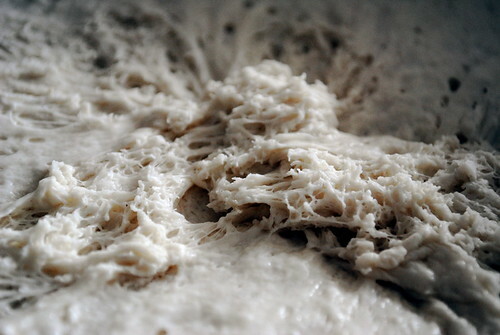 If I’m making this recipe on a weekday, I whip up the dough on my lunch break so that I’m ready to rock-and-roll at dinnertime. 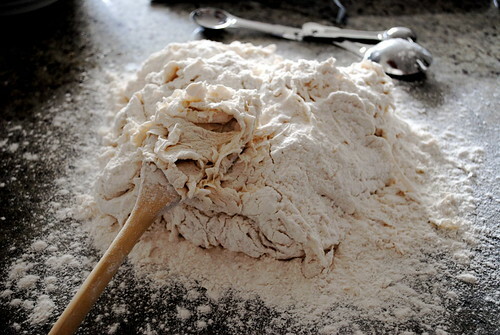 Once the dough has risen sufficiently, separate it into four equally-sized balls, dust them with flour and let the dough stand for another 20-30 minutes. 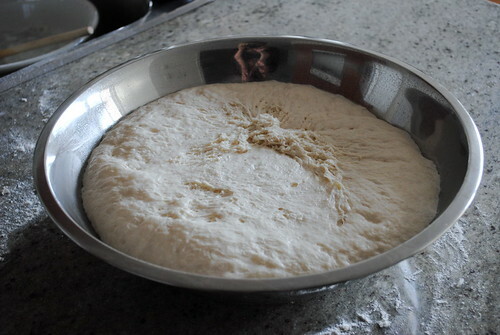 At this point, pre-heat the oven to 500ºF/260ºC and place a baking stone on the bottom rack of the oven. 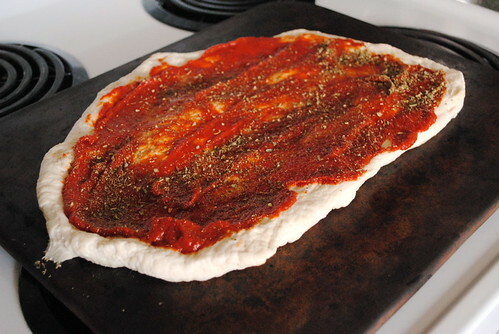 The baking stone must be heated for about an hour before the pizza can bake. Originating in Naples, the Pizza Margherita is said to resemble the Italian flag with red tomatoes, white cheese and green basil [source]. 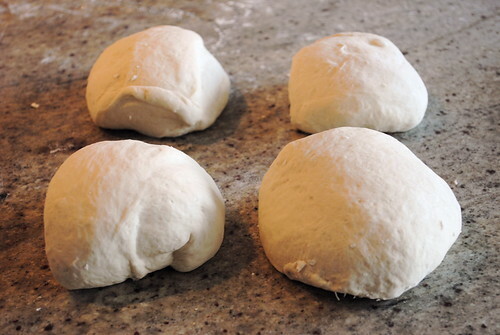 Though you can use whichever ingredients you wish with this pizza dough recipe, I like to keep things traditional. 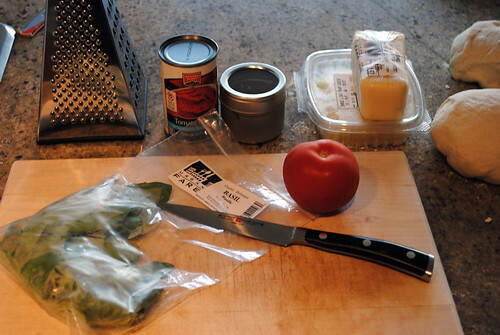 I prefer tomato paste over sauce because it’s got a thicker consistency and stronger flavour. 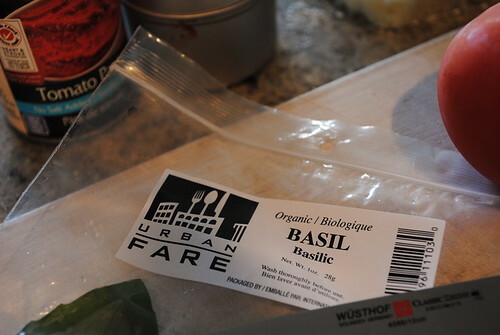 On top of that, I like to use oregano, vine tomatoes, organic basil, soft mozzarella and shredded parmesan. 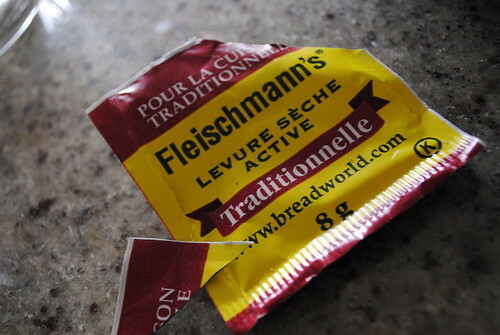 Turn the oven heat down to 450ºF/232ºC. 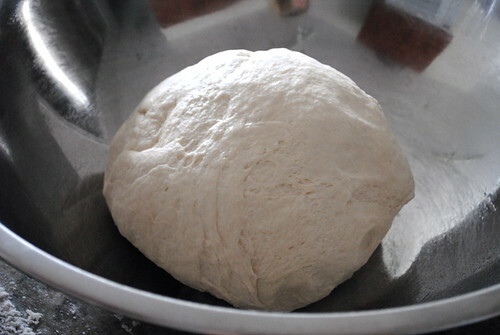 Stretch the dough ball, smother with tomato paste and dust with oregano. 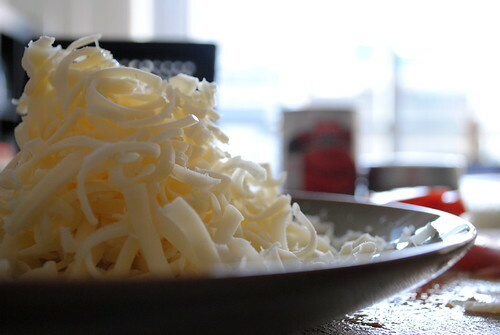 Sprinkle on the shredded mozzarella and parmesan, arrange the tomato slices and basil and toss it in the oven. 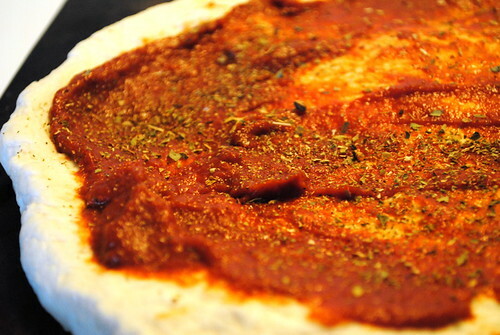 Baking the pizza will take between 10-15 minutes, dependent on how hot your oven gets. Amazing! 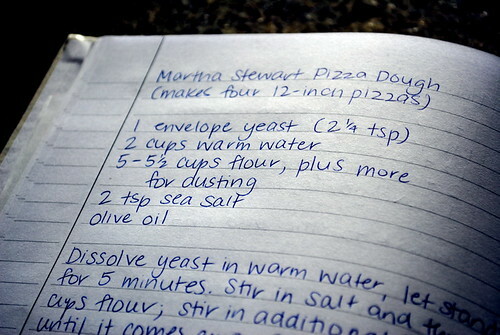 I need to make that pizza for dinner soon! Oh yummy….I love pizza but I need pepperoni and pineapple on mine to name a few of the whole list of stuff I need on it! @Kat – You only think you need those kinds of things. 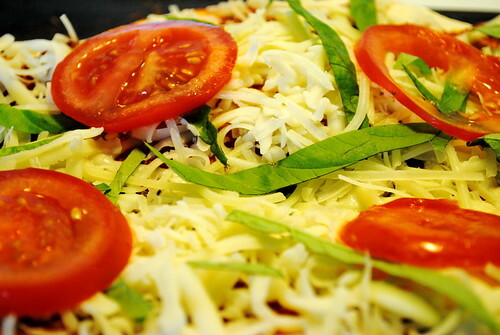 A well made Pizza Margherita with fresh, organic ingredients is incredibly flavourful. 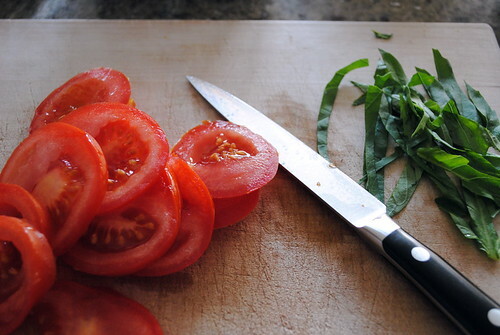 I make basil, tomato, mozzarella sandwiches all the time but….pizza is pretty much my favourite food. Totally going to try this.